* prices in PLN, per run for whole group. Krakow Balice Airport is located 16 km (about 10 miles) west of Krakow city center. 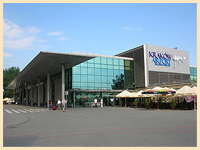 Krakow Balice Airport is the second busiest airport in Poland (after Warsaw Airport). 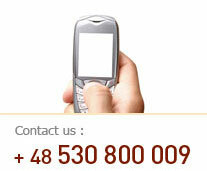 We offer high quality airport transfer services and we use modern, air-conditioned Mercedes vans. We have specialized in transfers and tours for a long time. Our English speaking driver will be waiting for you in the arrivals hall, holding a board with your name on it. He will help you with the luggage and he will take you directly to your hotel or apartment. If your plane lands at night or if it is delayed, we do not charge any surcharges. Balice Airport is about 15km far from Cracow city centre. If you like to travel by comfortable car, you should check our Krakow airport transfers services. The best way to travel to / from Balice Airport.